Why does Putin support the murder of children? A person may wonder why the Russian Federation under Putin’s leadership would not only support but actively assist Assad’s murderous Syrian regime in its disgustingly vile and brutal attacks on children and other civilians under the guise of attacking rebels/terrorists. It is becoming increasingly obvious to anyone with a modicum of intelligence that Mr. Putin will stop at nothing in his cherished attempt to recreate a Russian (Soviet style) empire in Europe. Evidence for this includes the annexation of the Crimea and support for rebels attacking the forces of the Ukraine. Without Russia’s intervention in Syria it is probable that the civil war in Syria would be largely over by now. 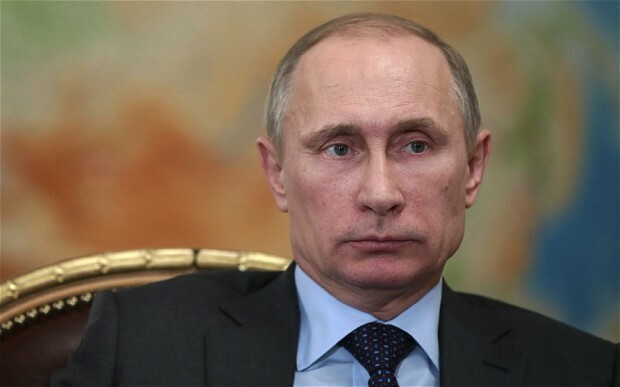 Putin wants to keep it going so that the flow of refugees to the West is ever increasing. This flood of refugees certainly weakens the strength and economies of Western Europe (regardless of cultural questions such as the possible Islamisation of those countries). When you think about it, without the flood of refugees into Europe the British Brexit referendum is likely to have gone the other way. The “Leave” campaign dishonestly distributed leaflets showing unnamed maps of Syria and Iraq. This fear of a refugee horde undoubtedly influenced many British voters to support the Brexit idea. It is becoming increasingly clear how much of a disaster, both for the UK and the EU, Brexit will be. Only today the President of the EU made a public statement that Theresa May is living in a fantasy land as regards her wish list for Brexit. One thing is certain. Vladimir Putin will be smiling. Many historians argue that both Stalin and Mao were even worse than Hitler as regards crimes against humanity and the number of deaths of innocents that they caused. Perhaps in the future Vladimir Putin will be added to that vile list. Posted on February 25, 2018 Categories UncategorizedTags murder of children, Putin, Russia's war on the West, Syrian war1 Comment on Why does Putin support the murder of children? Humanity’s progress through the ages could be described as a very powerful automobile with very poor steering. Technologically, humankind has become somewhat advanced. Science and medicine are progressing at a pace. Yet with each technological advance Man has employed it to produce more sophisticated capacity for killing, albeit at a huge economic cost. Likewise, although we are grateful for advances in medicine there has been insufficient consideration given to the problems of ever increasing overpopulation and an ever increasing proportion of elderly people in those populations as life expectancy increases. Following the dollar trail gives a great insight into what our species as a whole considers really important. Financial investment and incentives are thrown at science and technology while almost no resources are directed towards philosophy and the humanities. Philosophy can be considered as the steering of our metaphorical vehicle whereas science and technology equate to the power of the engine. What is the value or point of ever increasing speed and power without adequate thought being given to the direction of travel? The questions of the environment, society and ultimately even the economy have been subjugated to the pursuit of power. While science and technology certainly increase the scope and depth of our knowledge, without accompanying philosophical considerations they do little to add to our wisdom.